Boil the previously chopped carrot and leek in a pan with water and salt for ten minutes and then add the Corvina fillets. Boil it all together for five more minutes, drain the water and let the ingredients to cool down. Add the eggs into a bowl and whisk them. Then add the cream, the tomato sauce, the fish previously shredded and the chopped mushrooms, leek and carrot. Season to taste and grind with the blender until a uniform mix is obtained. Pour the mix into a rectangular mold which was previously spread with butter and sprinkled with bread crumbs and cook double boiler in the oven at 200ºC for 60 minutes. 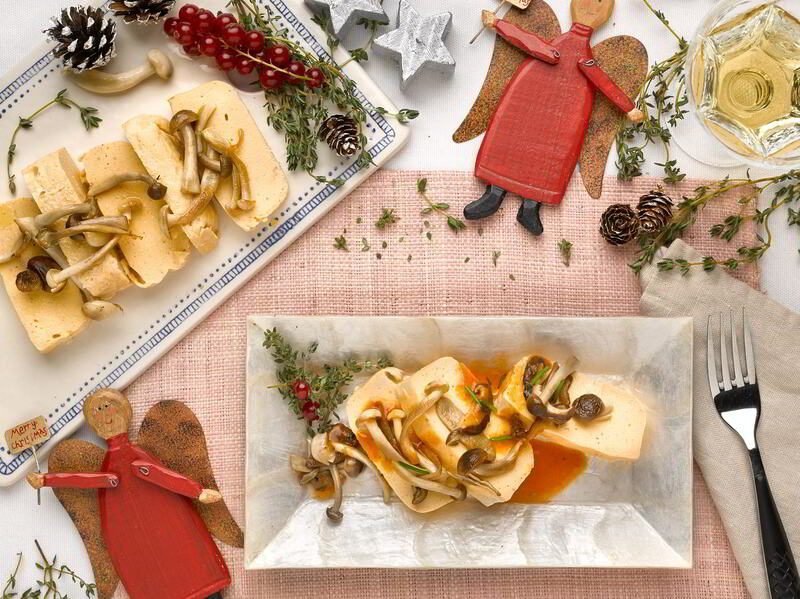 Once cold, remove from the mold, cut into rectangular pieces and serve decorated with some sautéed mushrooms.